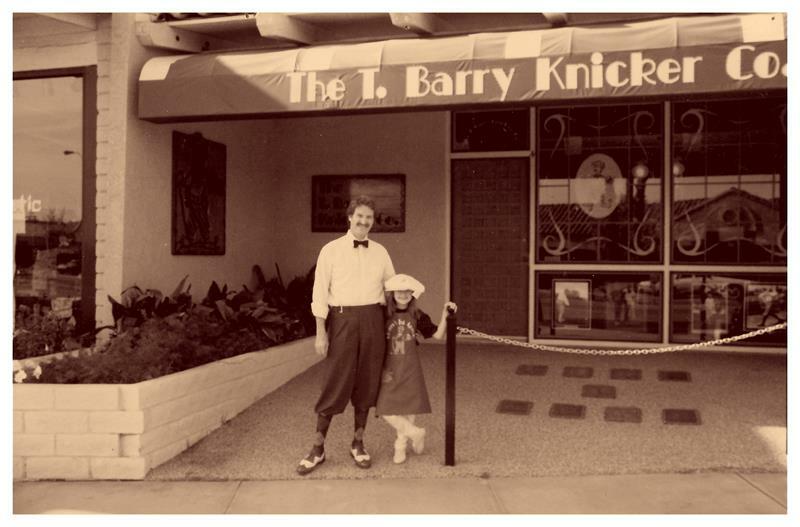 The T.Barry Knicker Co. "Hall of Fame" Induction. 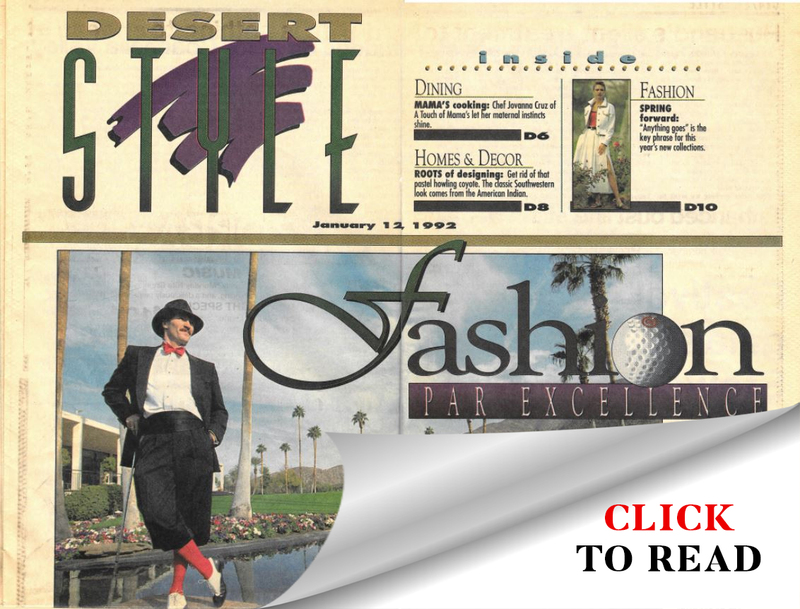 Circa 1995 Early promotion hot air balloon flown over Bob Hope Classic Golf Tournament. 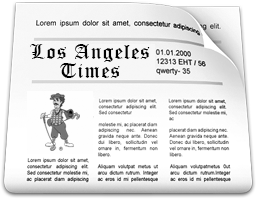 Circa 1983. 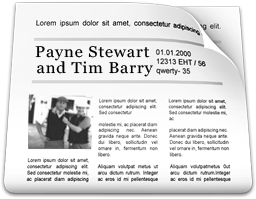 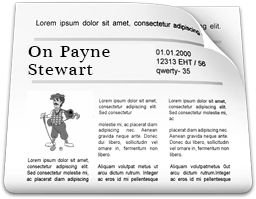 Golf Legend Payne Stewart in T.Barry Golf Knickers make the front cover. 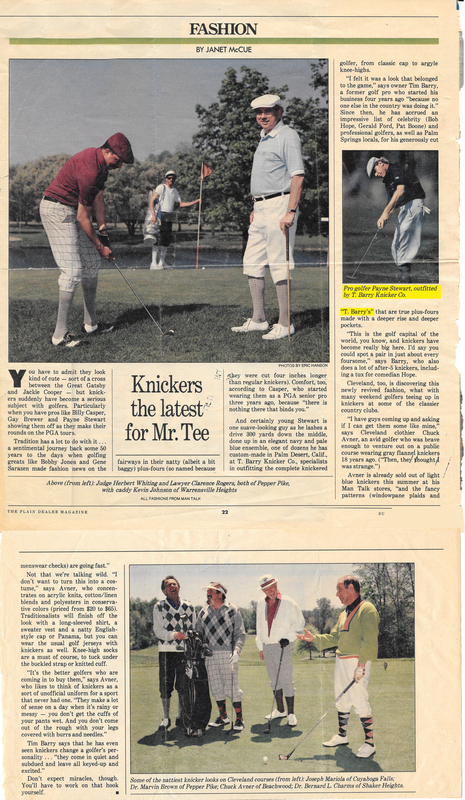 Bob Hope on the cover of Palm Springs Life Magazine in 1986, in which he is fully dressed in a T.Barry Knicker outfit; he is sporting a T.Barry golf cap, with a T.Barry vest, and a vardon houndstooth golf knicker. 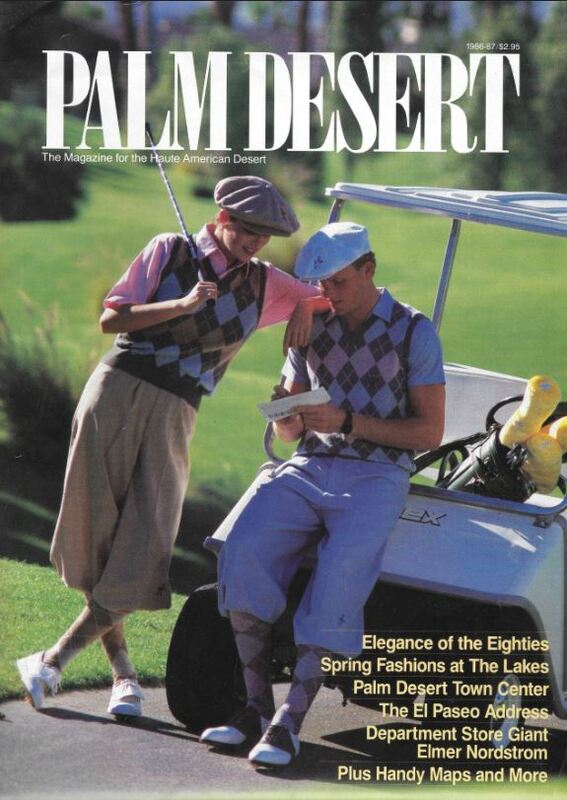 T.Barry golf knicker outfits on the front cover of the Palm Desert Magazine dating back to 1986, with the headline of "Elegance of the 80's"
The start of Senior Golf in Austin, TX. 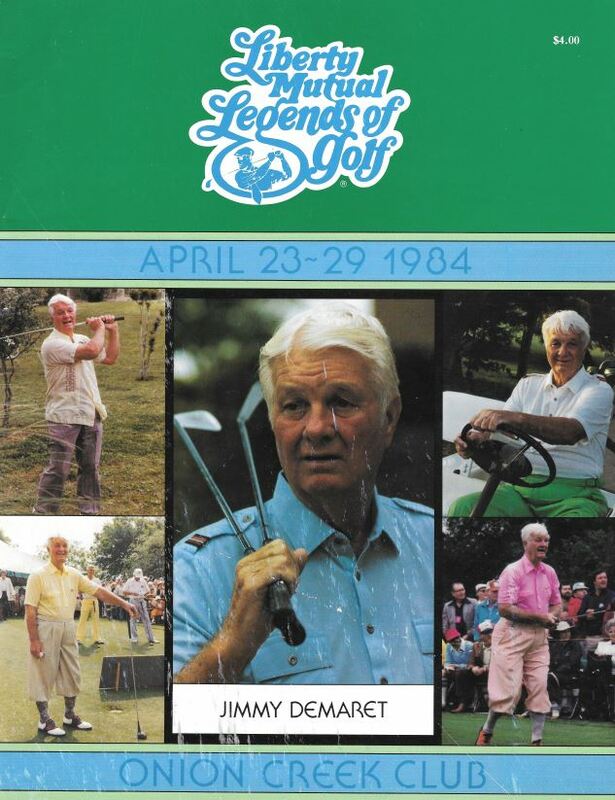 This year they honored Jimmy Demaret & T.Barry was there to suit up the field. 1984. 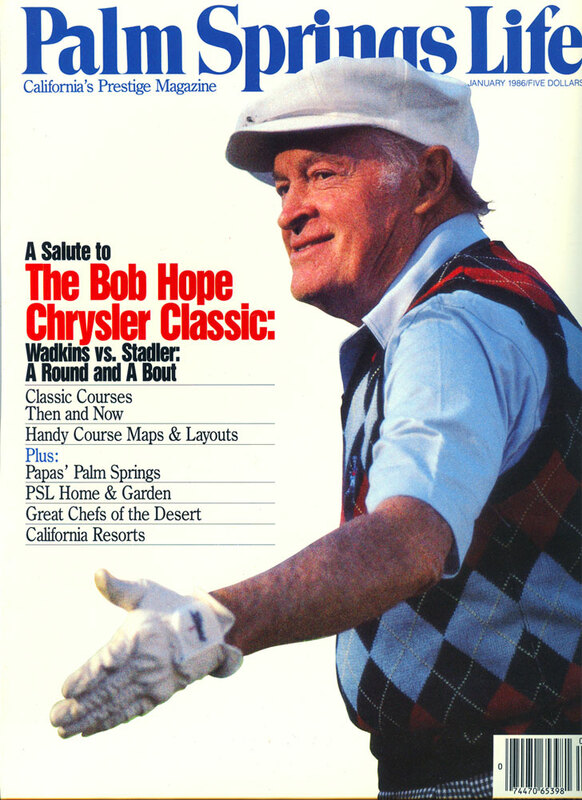 T.Barry In the January 1992 issue of Desert Style, where his T.Barry product line was promoted as "Elegance" for the Bob Hope Chrysler Classic.